A flourishing arts and entertainment resource for more than 50 years, Arts at MCC continues a legacy of performances and exhibitions by renowned visiting artists and promising students who receive extraordinary training by acclaimed faculty. Infused with the passion, knowledge and dedication of accomplished arts instructors and mentors, inspirited novices devote countless hours honing talents that are showcased to local, national and global audiences. Preeminent performance facilities and a new Art Gallery maximize award-winning set designs, imaginative choreography, expressive music, remarkable performances and innovative artistry. A wealth of entertaining ensemble performances annually bring classical, jazz and modern music to the expansive stage of the Performing Arts Center, an exemplary, professional venue highly valued by the East Valley cultural and business communities. MCC Dance features dancers, choreographers and visiting artists in an exciting world of ballet, jazz, ballroom, hip hop and modern movements that electrify audiences with thrilling traditional, global and leading-edge performances. 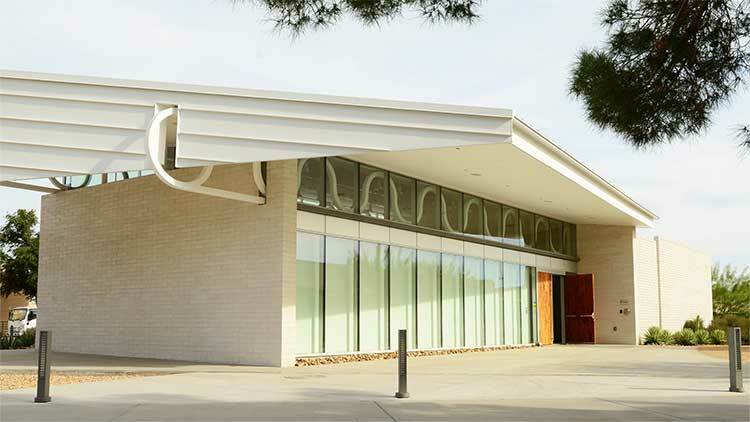 The revitalized MCC Theatre is home to dedicated students, and accomplished artists, who present a variety of intriguing performances. Artistic activities and shows by students, faculty and accomplished artists are presented on campus and in the Art Gallery, which opened in 2016. This student-designed 60’ x 20’ mural on the west side of Studio 28 at the MCC Southern & Dobson campus incorporates many themes highlighting the heritage of the Southwest. Women’s rights, the cultural gap between generations, urbanization, water rights and the concept of past, present and future are all interwoven into the design, which seeks to bring awareness to the good and bad consequences of expansion. The project involved months of student research, design and execution and included a Community Paint Day, which drew over 70 participants from MCC and the community. Completed in Spring 2016 under the direction of artist Hugo Medina. 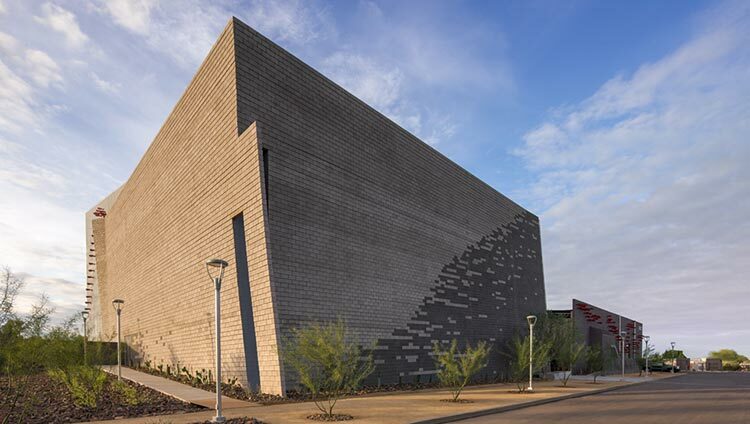 This collaborative project was overseen by a cross-disciplinary team and made possible through a 2015-16 Maricopa Center for Learning and Instruction grant and MCC contributions. Two original works from MCC Art faculty member, Cynthia Peterson-Fimea, were showcased as part of a No Consensus: 15 Artists, 15 Directions exhibit on display at First Studio in downtown Phoenix from December 2015 through January 2016. 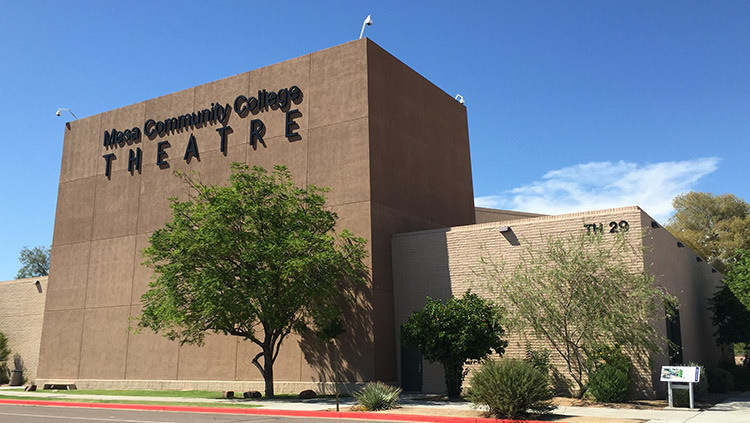 Local theatre reviewer writes of MCC's presentation of a Cat on a Hot Tin Roof, "Mesa Community College's production sizzles with passion and greed." Ezekiel E. Barkman in the MCC Theatre & Film Arts Department won a 2015 ariZoni Theatre Award of Excellence in Set Design for a Non-Contracted Theatre. Craig Peterson, MCC’s Director of Choral Studies and Music Department Chair, performed as part of a Grammy-winning choir on Rachmaninoff: All-night Vigil. The National Academy of Recording Arts and Sciences bestowed a 2016 Grammy for Best Choral Performance for the recording which combined 56 singers from the Phoenix and Kansas City chorales. The recording was released March 10, 2015, the 100th anniversary of the world premiere of Rachmaninoff’s classic, which was first performed by the Moscow Synodal Choir. Art display enriches the appearance of the college with student-produced artwork. MCC alumna Reece Grissom presents a collection of three life drawings. The artist uses human figures to represent the chromosomes during mitosis with stylized movements. Grissom has also been taking dance classes at MCC for more than 35 years and used her experience in dance to help her visualize the biological process with the movements and poses of dancers bodies. MCC alumnus Emigdio Arredondo grew up admiring dancers on movies and television, but did not think the opportunities were available to pursue his dreams. At MCC he joined the Dance Company and eventually changed his major when his professor, Tina Rangel, helped him gain opportunities and network. Arredondo is one of over 600 dancers to be selected for the University of Arizona’s School of Dance in the fall of 2015. “It took a while for me to accept my passion, and I don’t think I would have done it so quickly and effectively without MCC,” Arredondo said. At MCC's annual Empty Bowls events, you can choose one of thousands of handcrafted bowls and dine on a simple meal of bread and soup in observance of World Hunger Day. All proceeds go directly to the nonprofit Paz de Cristo Community Center, which provides anti-hunger and empowerment support for the East Valley's homeless, unemployed, working poor and their families. “During this past year, Paz de Cristo averaged 7,000 visits per month from those in need of food, clothing and other services,” said Paz de Cristo Director Arlen Westling. Alumnus Geoff Coppola's AllisOneenOsillA, a palindrome for All is One, One is All, was created in collaboration with MCC mathematics faculty Madeleine Chowdhury. The name chosen, AllisOneenOsillA, suggests how many small pieces make up a larger piece and an analogy of how many citizens make up one larger community, a tie to MCC’s International Education Department.